This is THE to-do list for any adventurous kid who is not afraid to get his or her hands dirty! They always say time flies when you're having fun, maybe that's why your prime kid-years seem to sail by in a heartbeat. Are you living it to the fullest? Well, here's an awesome way to find out. In this book you'll find ideas, hints, and tips for things that you can (and should!) do before you're too old to get away with it. Ever snorkeled at a coral beach? Stayed up all night? Well, now's the time! It's also never a bad idea to apologize to a friend, make a new friend of a different race or religion, or start your own business! 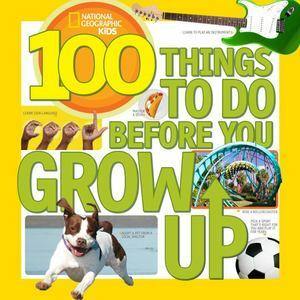 Complete with expert tips from real life adventurers, weird-but-true facts, and profiles of some of the coolest kid-jobs on the planet, this book is just the start of your amazing, exciting, wonderful life!